Engineering student Bruce McDonald has been creating things his whole life. Sure, the childhood doodles he drew on his desk in his hometown of East Vancouver were far less serious and organized than the graffiti-style paintings and projects he has worked on since 2010. However, for creative types like him, the desire to create may change and evolve over the years but never goes away. 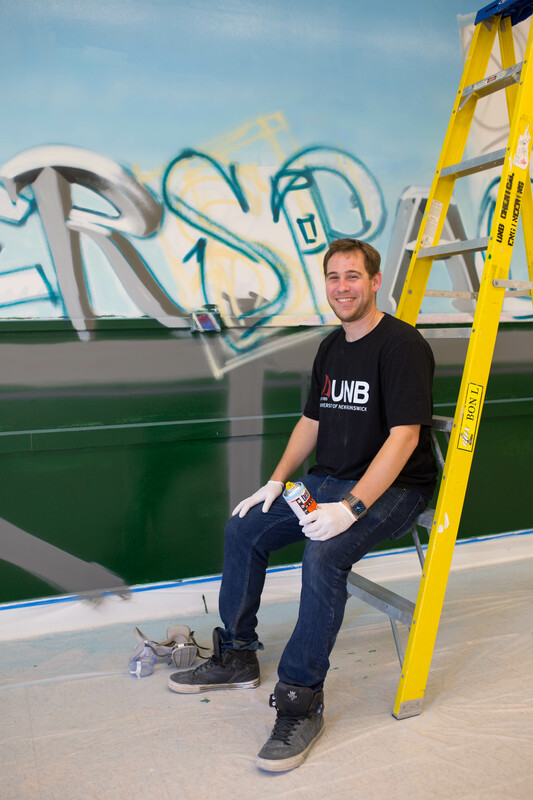 This persistence of the creative spirit is not only one of the driving forces behind the UNB Makerspace; McDonald also reflects the feeling in the Makerspace’s new 250 square-foot wall mural. There is always need for a space where students can create without restrictions, regardless of how technology and society evolves. McDonald’s idea of adding art to the Makerspace came to him soon after moving to Fredericton from UNB Saint John. Drawn to the Makerspace by his interest in 3D printers, he began looking for opportunities to get involved. 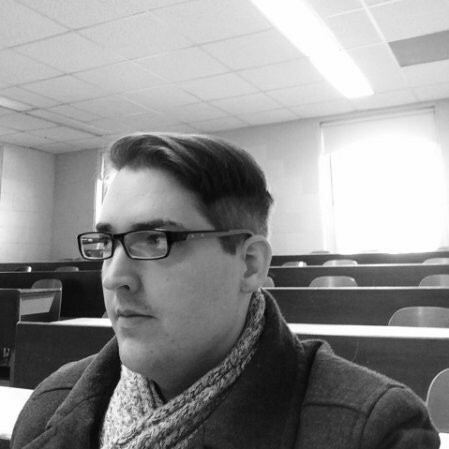 “A couple summers ago I saw a job posting to work at UNB Makerspace. Despite not getting hired for the job I attended a meeting in the [then empty] old Makerspace and asked if they would consider putting some art on the wall. It was as easy as that,” said McDonald. Faculty granted McDonald the go-ahead to begin his painting after multiple meetings, in which McDonald discussed what he had in mind and sketched his proposed ideas directly onto the wall. The painting process took nearly two months. 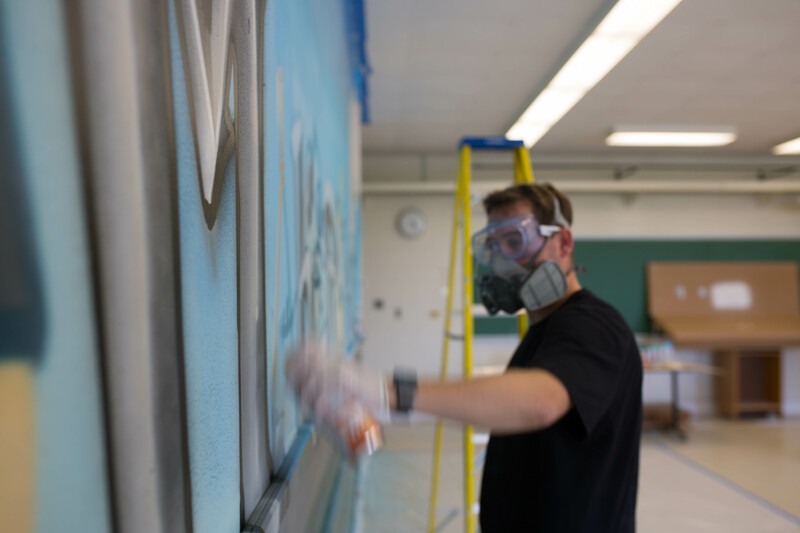 According to McDonald, the mural symbolizes “the spirit and history of ‘making’ at UNB.” It illustrates the evolution of the UNB Fredericton campus with new structures being built alongside the university’s historic buildings using modern technology. While the creative methods used by students today are often very different from those used in the past, the spirit of creativity and innovation remains the same.